Is it time to renew your passport again? Before you dig out those old photos and send away your form, you need to double-check the new passport requirements. Canada frequently updates its passport and photo requirements. Failing to submit the right paperwork and photos means you will be rejected and need to start all over. Do you need passport photos in Mississauga or the surrounding area? Here’s what you need to know about the passport process. Is it time to renew your Canadian passport? We only renew them every five to ten years, and the process usually changes between renewals. Don’t send your application away before reading this guide, including the most up-to-date passport photo requirements. 1. Can You Renew Your Canadian Passport? You may renew your passport if you were 16 years old when you applied for your last passport, and you are a Canadian citizen. If your last passport was a child’s passport, then you must re-apply for a passport – not renew one. If you live in the United States, you can renew your passport from the U.S. If you live in a U.S. territory (like American Samoa or the U.S. Virgin Islands), then you follow the same instructions as you would if you live in the continental United States. 2. 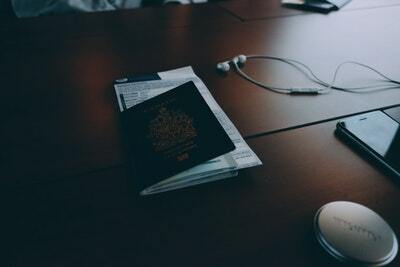 What Documents Do You Need to Renew Your Passport? To apply for passport renewal, fill out the Adult Simplified Renewal Passport Application Form. In addition to your application, you also need to provide your current or most recent passport. You also need to provide two (2) identical passport photos. Learn more about passport photo requirements below. 3. How Long Does It Take to Renew a Passport? Remember that business days do not include weekends, and processing time doesn’t include mailing time. Additionally, some cases require more processing time. The office may delay your renewal when it needs to complete citizenship or security checks. You should only apply for a renewal if you do not have to travel within the next month. 4. What Are the Canadian Passport Photo Requirements? Canada has specific passport photo requirements that you must meet when you apply for a passport or a renewal. Your Canadian passport photo dimensions must be 70 mm x 50 mm. The photo should ensure the height of your face is a minimum of 31mm and a maximum of 36 mm. The passport office will reject photos that do not clearly depict your face and shoulders or that show signs of editing or alteration. You can wear glasses as long as your glasses are visible. You can’t submit a photo where glare is visible on the lenses. You cannot wear tinted glasses or sunglasses, even when your eyes are visible. Can I Wear My Head Covering? You can wear your hat or head covering if you wear it daily as part of your religious beliefs or for a medical reason. However, your full face must visible. Additionally, you must position it so that it does not create a shadow on your face. You cannot wear a hat or head covering that is not worn daily as part of your religious beliefs or for medical reasons. 5. What Are the Rules for Children’s Passport Photos? All children’s passport photos use the same rules as adult passport photos. The only exceptions to the rules are for newborn babies and infants. To take their photos, you must put a white blanket over their car seat and ensure there are no shadows. You have some leeway with facial expressions for infants. The passport office will allow some facial expressions. However, they might not allow a photo where your infant is crying or screaming, and their face is slightly contorted as a result. You should be careful to ensure your hands are not visible in the photo. 6. Can I Take Canadian Passport Photos at Home? No, you cannot take your own Canadian passport photos. The photos must be taken by in-person by a commercial photographer or photography studio. You must also have the photographer print your passport photos. Any images printed from a home printer or on heavy paper will be rejected. Even if you have the set-up to take your passport photos in Mississauga, you must still see a professional. The passport office requires your photos to be certified by a guarantor – usually the photographer. Any images submitted without the guarantor information will be rejected. It is, however, a good idea to request both the printed photos and a digital version. You can bring the digital copy to a professional printer if you need more photos (such as for a visa application) in the next few months. 7. What Are the Passport Fees? The cost of a five-year adult passport is $120. Ten-year passports are $160. These fees apply when you renew your passport in Canada. Renewals from the U.S. or elsewhere are $190 and $260. If you are applying for a passport to replace a lost or stolen passport, you must pay an additional fee of $45. You might choose standard pickup if you can wait for normal processing, but you don’t have time to wait for the passport in the mail. Don’t put your next vacation on hold by making a mistake on your passport renewal. Get the right photos taken the first time to make sure you have your fresh, new passport in your hands in only a few weeks. Do you have questions about passport photos in Mississauga or need to book an appointment? Get in touch today to get your application done tomorrow.